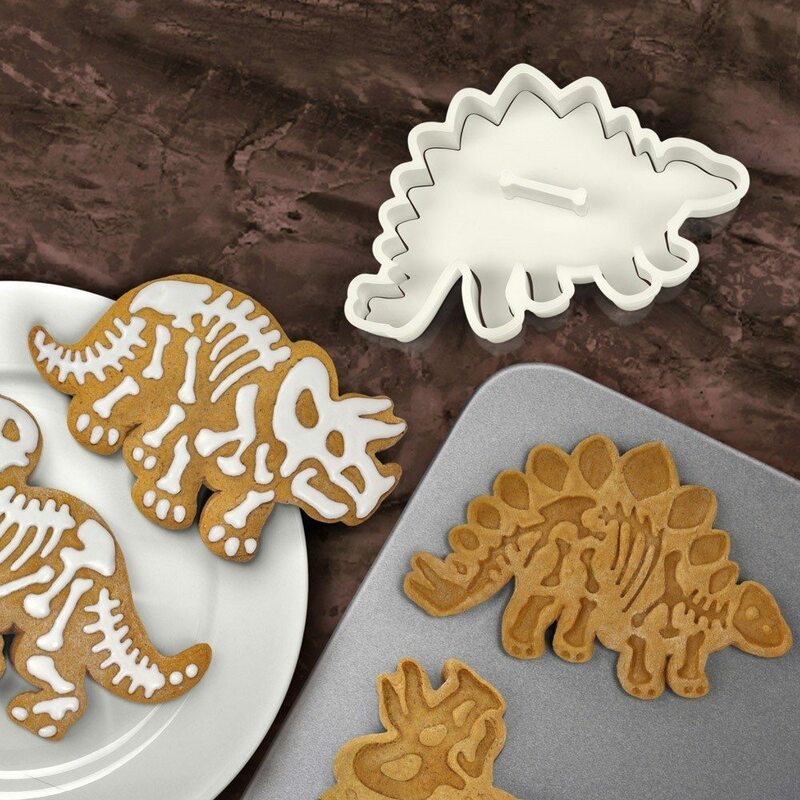 Kids love dinosaurs and everyone loves cookies, so these Dig-Ins Dinosaur Cookie Cutters are all win. 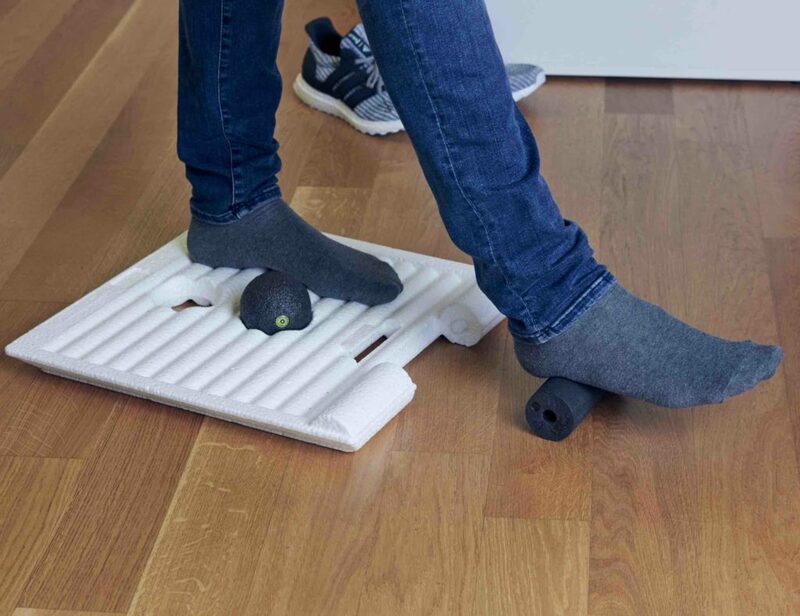 Make some cookies that can bite back! 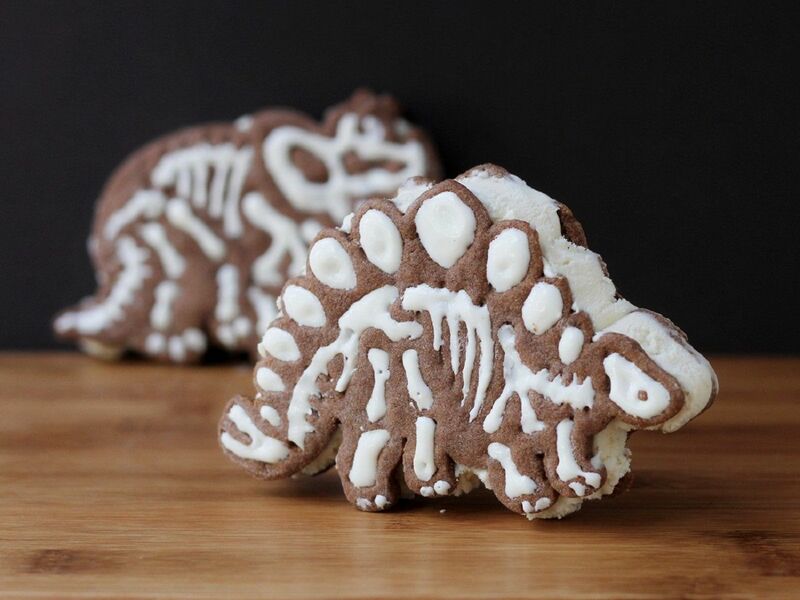 First, punch crisp cookie outlines with the cutter, then emboss perfect skeletal remains with the stamper! 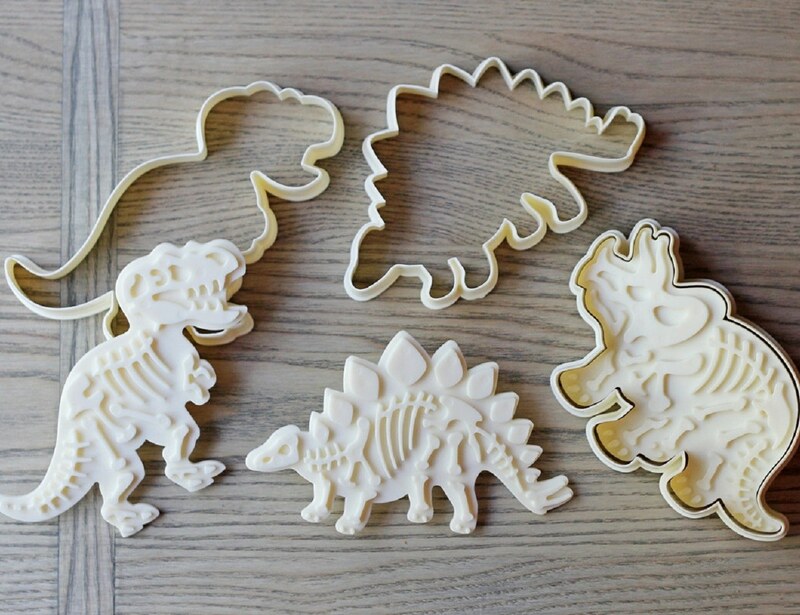 You’ll make cookies that are good enough for a natural history museum or a cookie jar! 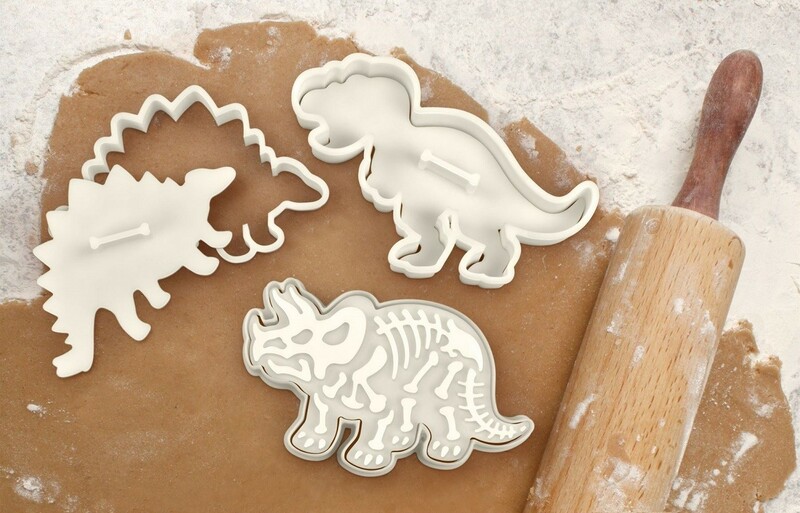 Set of 3 big cookie cutters and fossil bones stampers included.